How were these structures built? You can see how these rocks have been sliced into thin slivers. The roof of these houses are nearly 12 feet long, but only 2 inches thick. How did ancient men slice these rocks into thin slivers, without breaking them? Even today, this is not possible without metal tools. How were they able to lift these massive rocks and balance them onto these thin slices like playing cards? And how did they transport thousands of these rocks from a different place? The truth is, experts know very little about this place. They don’t even know the original name of this place, but locals call it ‘Moryar Thatte’. The word Moryar refers to the race of extraterrestrials and the word Thatte means a saucer or a plate in Kannada, which is the language of the state. These people call this place Moryar Thatte because they claim that extraterrestrials landed here in a flying saucer. This is incredible, because in my previous video I showed you the cave paintings clearly depicting the flying saucer and astronauts in a place called Onake Kindi. This site is just 15 miles from those cave paintings. 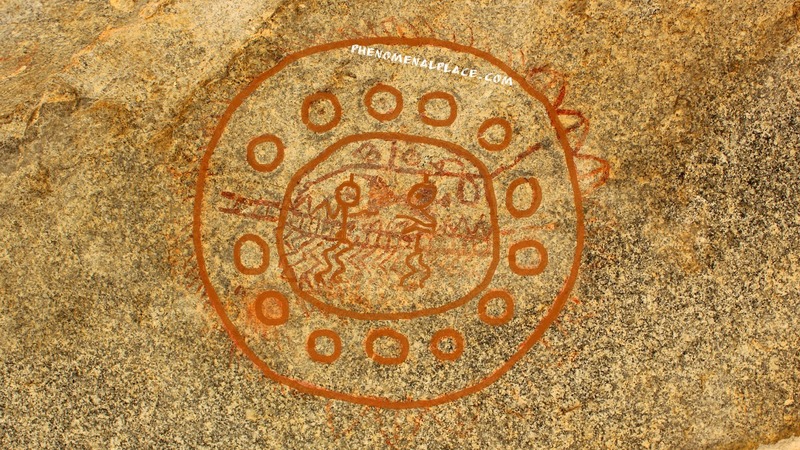 Even more important, villagers around the cave paintings also refer to this specific painting as Moryar Thatte, which explicitly tell us that this was a flying saucer. Who are these Moryar? Locals say the Moryar were much smaller than humans, looked reptilian and preferred to live underground. Exploring deep into remote villages, I realized that Moryar is simply another name for Nagas, the popular snake Gods of India. Village temples confirm that Moryar and Naga are the same. The Nagas are also shown as smaller figures, living underground with reptilian features in various temples, confirming that Morays are in fact Nagas. 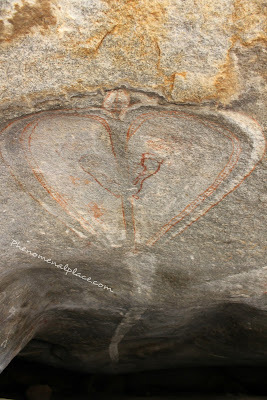 Now, I had previously shown you the UFO cave painting at Onake Kindi, but have not shown you what’s inside the cave. Inside the cave, is another important painting– A Hooded Cobra, which is a symbol of Naga. This is a very huge painting with a hooded cobra coming out of the cave. The body of the cobra goes all the way into the cave for many feet, symbolizing the Underground Nagas. Is it possible that these Nagas are in fact extraterrestrials, who landed here on a flying saucer? What would have happened when these advanced extraterrestrials contacted primitive human beings? 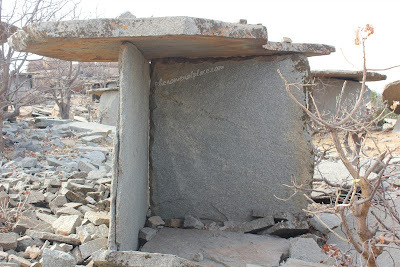 If Moryar Thatte is the very first place of this contact, why were these huge structures built? What could have possibly been the purpose of building nearly 400 stone houses on top of the hill? While archeologists have no answers for these questions, locals say these structures were built as a training ground to teach human beings how to cut and balance rocks. 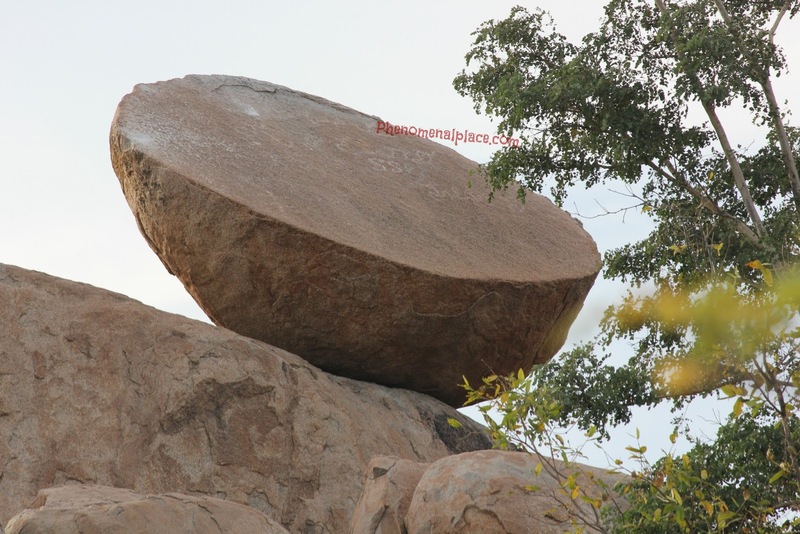 As evidence, they point to this huge boulder, balanced on top of a slippery slope. Locals claim that extraterrestrials sliced this round boulder in half, just like how we cut butter. If we assume that human beings somehow sliced these smaller rocks and balanced them with primitive tools, how do we explain this rock which weighs 20 tons, standing on a slippery slope? 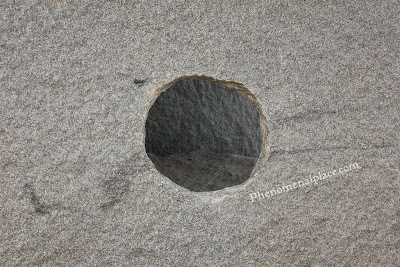 Archeologists acknowledge that this rock is an important landmark in their plaques, and call it ‘Stone Kettle Drum' because if you strike this rock, it sounds like a bell. But they don’t offer any explanation about how prehistoric people could cut a huge boulder like a half sliced tennis ball. Locals claim that these aliens not only trained human beings how to cut rocks, but also taught them various sciences and arts and this is how all human civilization began. Did human beings who worked closely with these extraterrestrials, become a superior group among other human beings? Did this group, armed with advanced stone cutting technology, build these extraordinary temples in India? If this is true, shouldn’t the temples also have carvings of these flying saucers? The Lepakshi temple, a brilliant monument holding the world’s largest monolithic bull and other giant structures, is an excellent example of ancient rock cutting technology. The real mystery however, is the series of giant circles, more than three feet wide, carved on the ground. They are all circular, with several smaller circles inside the circumference. Now, compare these carvings with the cave painting found nearly 180 miles away. Do you honestly think this is a coincidence, that they look the same? Even more interesting, the locals in Lepakshi temple also call these carvings as Thatte, which means saucer or plate. Even though the name has stuck for thousands of years, locals don’t know why these are called saucers, and they think ancient people were using them as eating plates. Watch what the tour guide says. 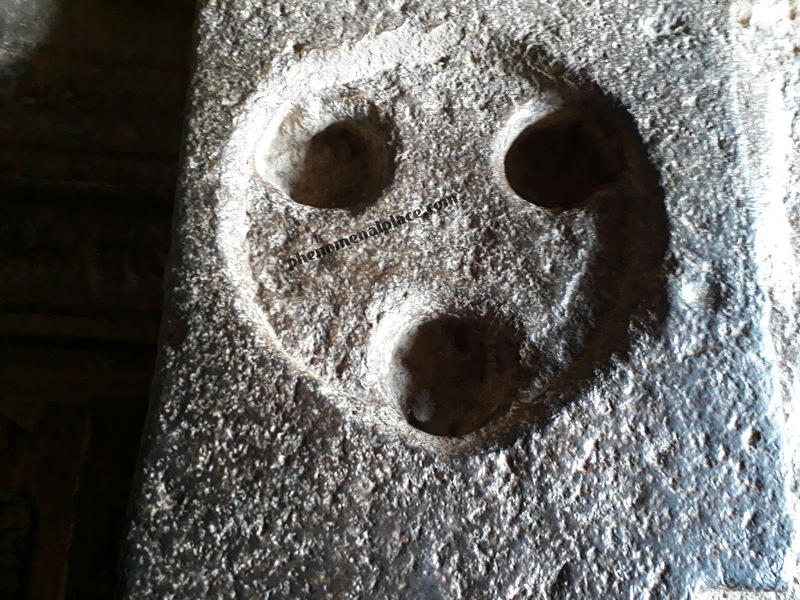 The idea that people could carve the world’s largest monolithic structures in this temple, but still did not have metal plates and ate from the floor, is of course nonsense. These carvings which have baffled experts before, clearly represent the flying saucers that landed on earth. 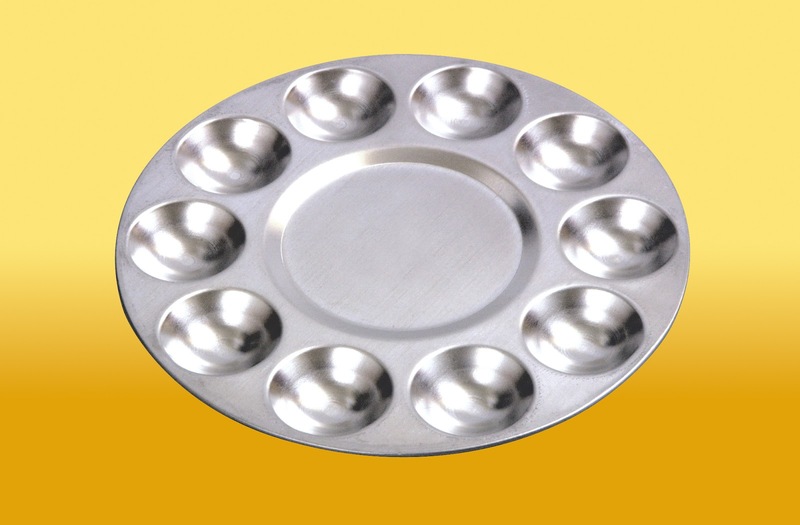 In fact, we can see similar representations of these saucers in many mysterious temples, including Ellora caves. 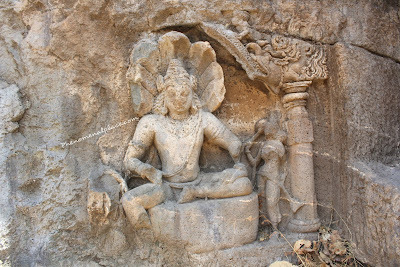 We can also see the Moryar or Nagas carved all over Ellora caves with the same features – smaller than humans, reptilian traits and living underground. Is it possible that Nagas worked with ancient human beings to build megalithic structures like Ellora caves? Is this why experts are unable to explain the hundreds of underground tunnels at Ellora caves, which are too small for human beings to enter? In standard history books we read that Ellora caves were created by primitive people using simple tools like chisels and hammers. 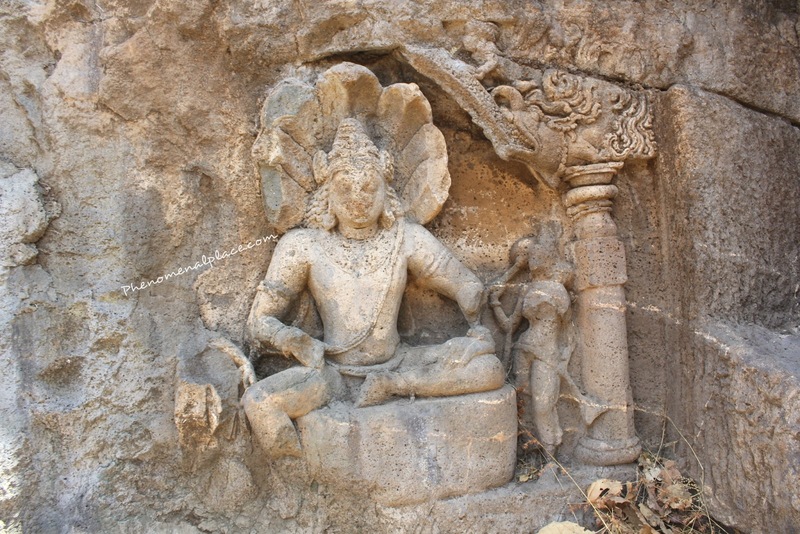 If so, why do we not see the enormous amount of rocks removed from Ellora caves? 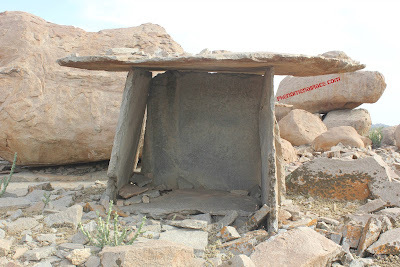 Going back to Moryar Thatte, what about this rock that is sliced in half? Where is the other half? If this is the place where extraterrestrials taught human beings how to cut rocks, we must be able to see more evidence in the same region. In my next video, I will explore the mountains nearby and prove to you that ancient Indian temples were not created using chisels and hammers. So, what do you think? 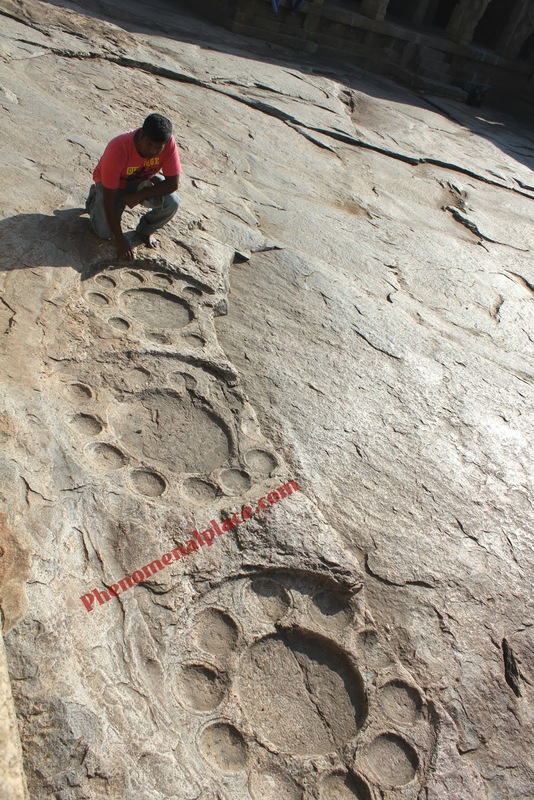 Did Nagas come in flying saucers and civilize the primitive human beings? How else can we explain this advanced rock cutting technology, local stories and the cave paintings and carvings of flying saucers? Thank you for reading this, and don't forget to leave your comments below. This is super fascinating, and I agree with your theory that this MUST be ancient ET. I've head of the tiny guys (and the giants, and the coneheads..), but this evidence (aside from the Atacama corpse), PROVES conclusively of there existence in a society here on earth. But where did the Moryar go? Please link to touring companies to take you there! You are amazing, your hard work will get huge appreciation ! Kindly keep going with your work, really wanna see your findings and knowledge share. Hi Anonymous, Archeology department has tightened its security in Ellora Caves, so we can't use small cameras inside these tunnels. Also, the tunnels in other temples have been completely sealed off. I am still working on it. Thank you Dr. Mobius, I will post more of my findings soon. Have a great day. Thank you Rajesh Athelli, I appreciate your support. Have a great day my friend. Inspired a lot to know more about our history ..fantastic analysing skills sir .. I want to see u as a legal scientists of india ..
You shd get in touch with Erich von Daniken. He would be very interested. please information gives in Hindi also. same ignorance that has world in current condition. Praveen is insightful and thank God for blessing his with the curiosity and strenghth to challenge inconsistency. and in the second part of the video a local man explains also a race of people who were very sensitive to our Suns light and lived undergound. What if those people and Nagas are the same race ? 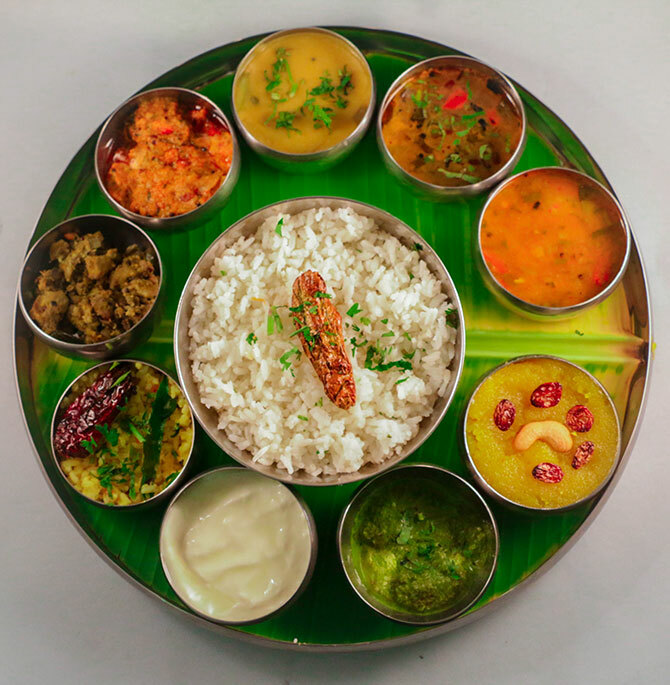 HEY Mohan I have been watching your vedios and reading the work/discoveries you have been presenting to the common man.I feel so great, to see all of them and I really appreciate your work. I suggest you to Visit ramappa temple, near waranagal. 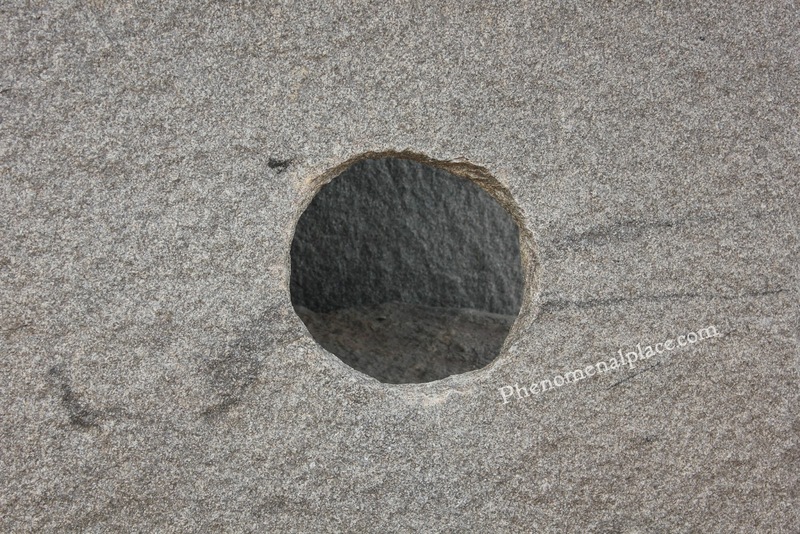 it also has some wonderful work in granite. 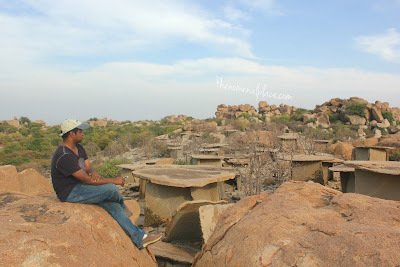 ramappa is the engineer who built this temple in 1200 A.D. if you share your email id, i can share some pictures of it. 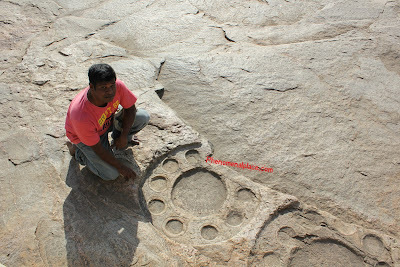 keep learning More n more from u.
Wow that's great ..I want to visit the place...ASI should force for UNESCO world heritage site and protect from damage..
the sliced round boulder in half looks like a dish for communicating with flying saucers. 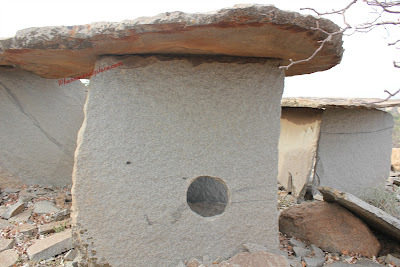 And about small circular shape entrance, the entrance is so made that bigger animal could not enter inside and the circle carved few inches away from the ground. I m sharing a interesting history of relation with nagas🐍. We are the decendents of king Agrasen form Agroha situated in Haryana State. It is said that king Agrasen was the decendent of Lord Ram of Ayodhya. During a battle with Indra, the king of Devlok, Agrasen was not ready to step back. Then Mahadev (Lord Shiv) asked him to give up the Kshatriya dharm and accept the Vashya dharm, so that the battle became to its end. King Agrasen have 18 son and they married with the 18 daughters of the king of Naglok. Hence Nagas are called our maternal uncle. It is said that 🐍 dosenot bite the agarwals.